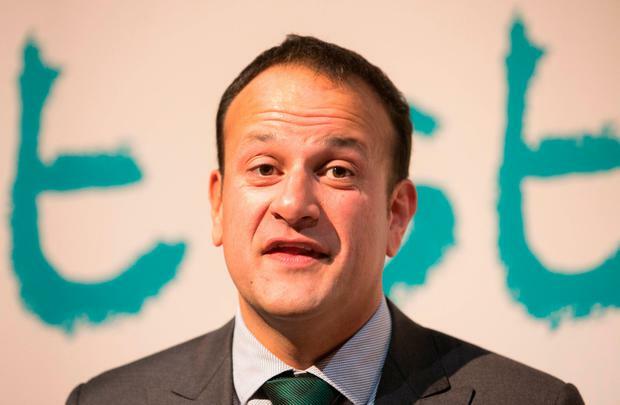 Brexit represents a risk to "nearly all aspects of national life", Taoiseach Leo Varadkar has said. In a foreword for the National Risk Assessment 2017 report, Mr Varadkar warned Ireland was "particularly vulnerable to external developments". He said that despite encouraging economic figures, "we cannot be complacent" because moves by certain countries towards more protectionist policies may represent a threat to our future prosperity. In relation to Brexit, it said there were "critical risks" for key sections such as agri-food, retail, tourism, fishing and energy. "The small size of our domestic market means that exports of goods and services are far more economically significant for Ireland than other countries," it said. While the report doesn't specially mention the election of Donald Trump as US president, it intimates that the Irish Government must strengthen relationships with the White House. "As the US is Ireland's second-largest trading partner, its second-largest export market and its largest source of foreign direct investment (FDI), enhancing the many strands of the economic relationship with the US is central to Ireland's continued prosperity." This need to ensure smooth relations is largely driven by our dependence on US companies, which Mr Trump has indicated he wants to take back to America. "Ireland's economy and employment are heavily influenced by a relatively small number of multinational corporations concentrated in a few enterprise sectors. "Whilst this reflects the success of Ireland's enterprise policy in attracting FDI in these sectors, it also creates a vulnerability to changes in Ireland's attractiveness as a location for these companies," the assessment noted. "There is a further risk of serious negative consequences due to changes to US trade and tax policy, or from a return to economic turbulence in Europe, with potential for populist politics to deliver an increased tendency towards protectionism and trade disruption." The report said much global instability in recent years has "its roots in growing populism and anti-establishment sentiment". "With increased political fragmentation, this could become a feature in Ireland also. "As the Irish population changes, including as a result of migration, it is possible that social cohesion will decrease and tensions increase, as has happened in other developed societies. "Social cohesion can also come under pressure from inequality, real or perceived, in terms of income and job security, or a 'two-tiered' recovery with divergence in prosperity between major urban areas and more rural parts of the country." In relation to terrorism, the report stated the risk here was low, but the recent attacks in London and Manchester "serve to highlight the challenging nature of the threat". However, Ireland needs to be particularly cautious about the potential for a serious cyber attack. "The fact that Ireland is home to a large number of international data centres means that a serious attack or cyber-security failure could have a damaging impact not just on our reputation, but also on our economy." Ireland was described as being at "very low risk" of a nuclear accident but should one occur the fallout could be devastating, with "potentially catastrophic humanitarian consequences". The study assessed potential costs to Ireland. Costs ranged from €4bn in a scenario with no contamination where losses are reputational, through to €161bn, where high levels of radioactive contamination would necessitate a prolonged period of food controls and agriculture protective actions.